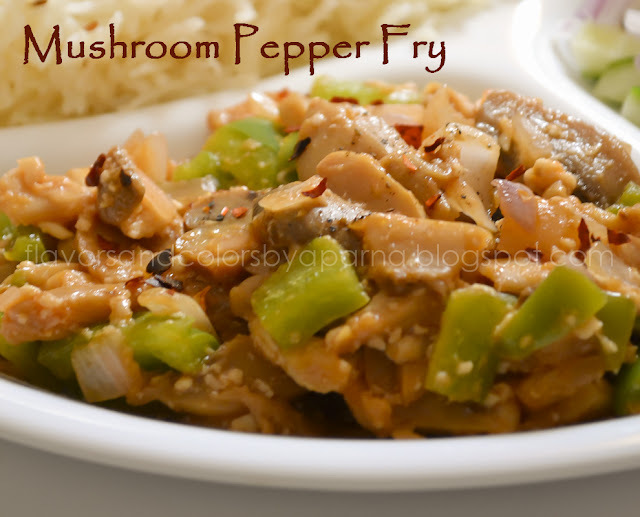 A simple combination of mushroom, capsicum and onions stir fried and cooked with spices and sauces. 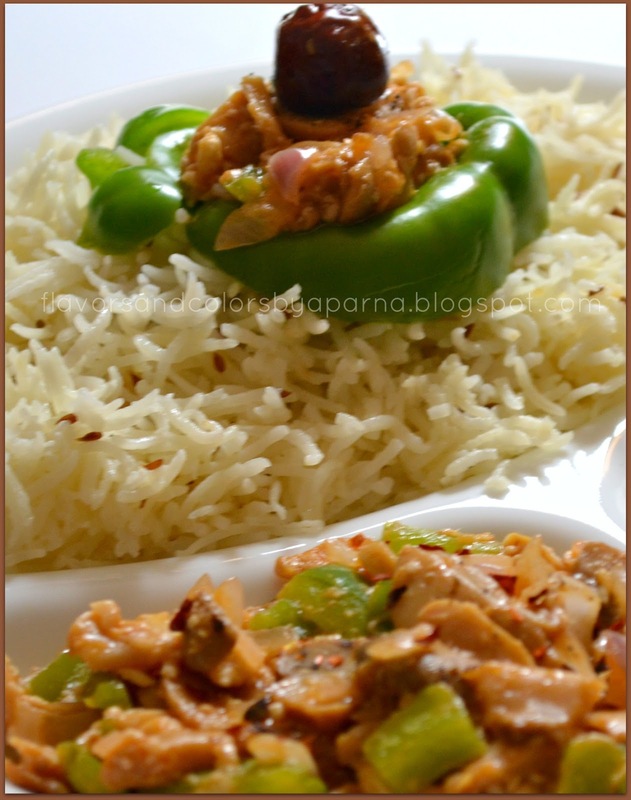 It is an easy to cook recipe requiring less ingredients and very tasty dish, which I got to know from my FB friend. Thanks Sudha for this recipe. Take oil in a deep pan. Heat it, add ginger garlic paste, crushed red chilies. Stir it till the raw smell of ginger garlic disappears. Now simmer the flame and add finely sliced onions. Once they turn translucent, add chopped capsicum and mushroom. Fry well for 5 minutes on sim flame. [Since mushroom has moisture don't add any water]. Add shredded paneer, ajinomoto [optional], pepper powder, soy sauce, tomato ketchup and salt. Now fry on high till all the water evaporates and becomes dry. Switch off the flame and serve it as side dish. Additionally, once it cools down you can place it in the center of chapati, roll it and grill it. Serve it as wraps/starters with tomato ketchup.